Turn your pastime into a healthy activity. No equipment necessary. If you are holding your iPhone, you have everything you need. Bodyweight exercises can be performed and modified for all levels of fitness from beginner (wall push-ups) to advanced (are you ready for the one-armed pushup?). Take some joy in knowing that each time you beat your friend, he or she is having to do push-ups and sit-ups while you enjoy sweet, sweet victory. 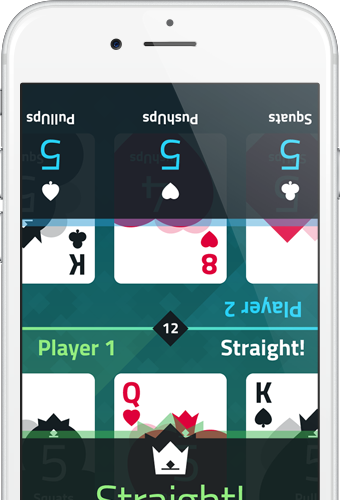 User can choose to go against the Dealer or another Player. Tap Deal to start the game. 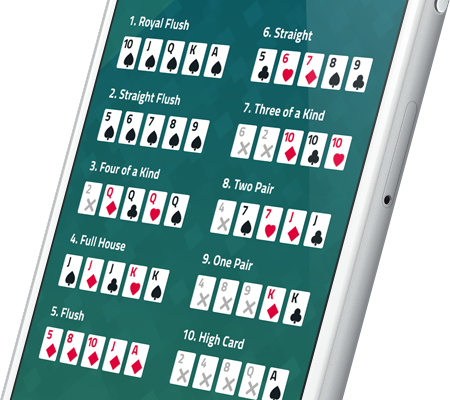 Each player is dealt five cards face-up. 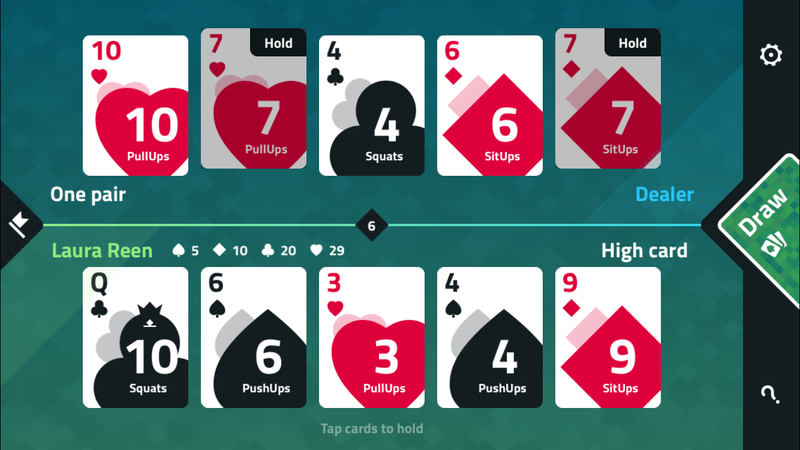 Then each user taps cards to Hold and changes the other cards. 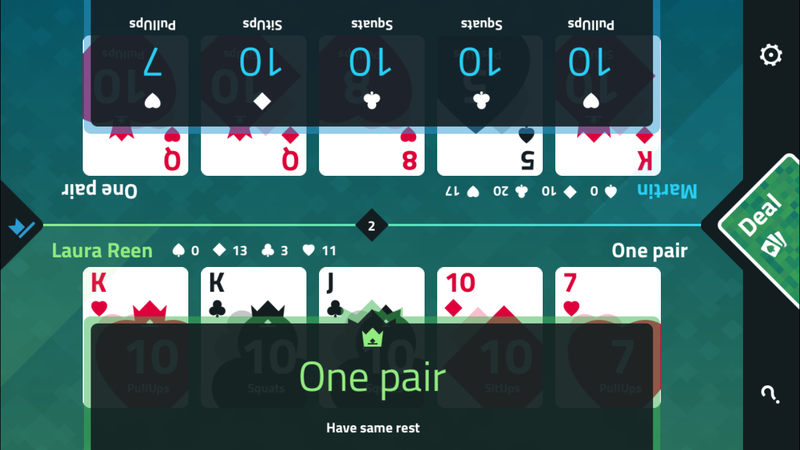 Users can change al the cards on their hand or keep up to five until they believe their combination is the winning hand. 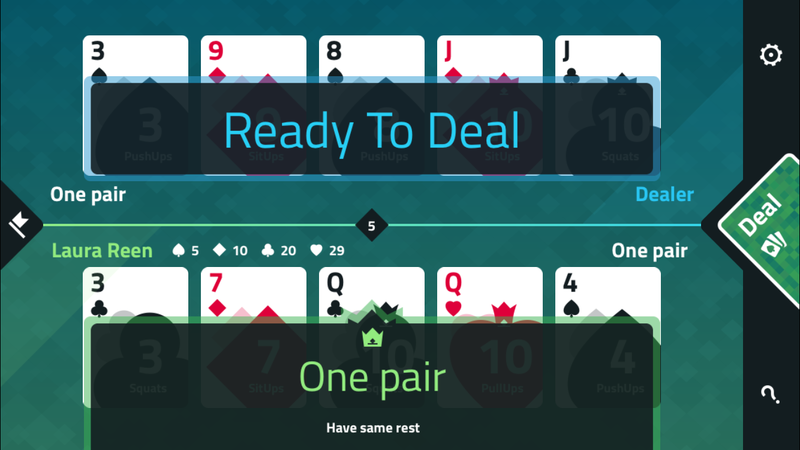 Depending on the second deal's result, the Winner has a rest period. 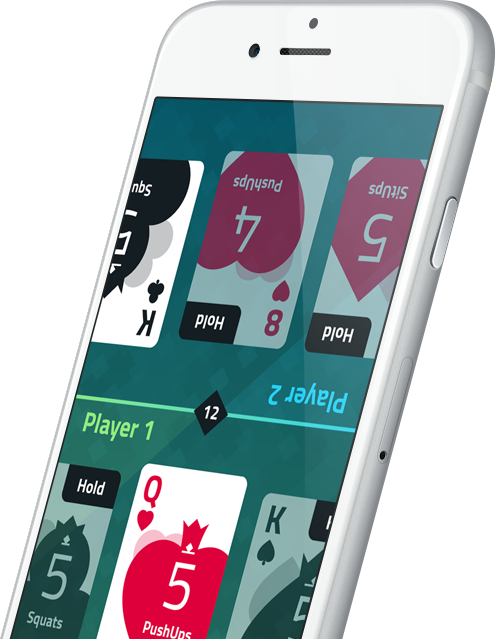 The other Player will perform exercises equal to their opponent's winning hand. As users do more exercises, they become more tired. (Good! That means its working!) Users can end the match at any time by pressing Finish (flag) button. If you give up and press Finish, don't worry. Try hard, keep playing and stay fit! 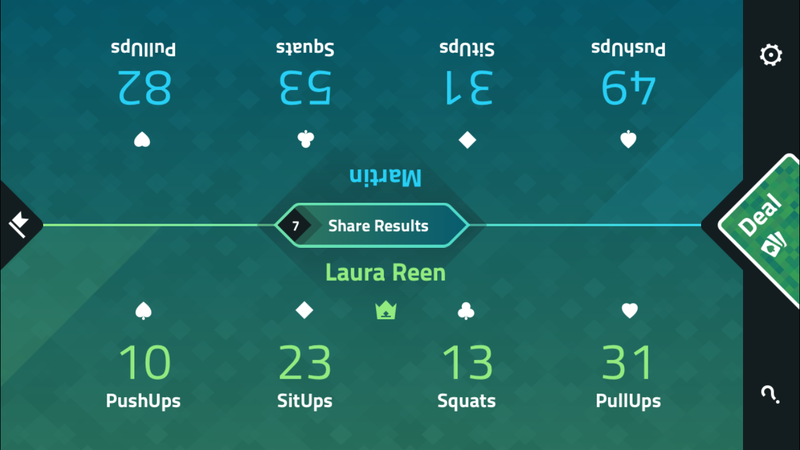 The final screen will show the user's totals for each exercise performed. 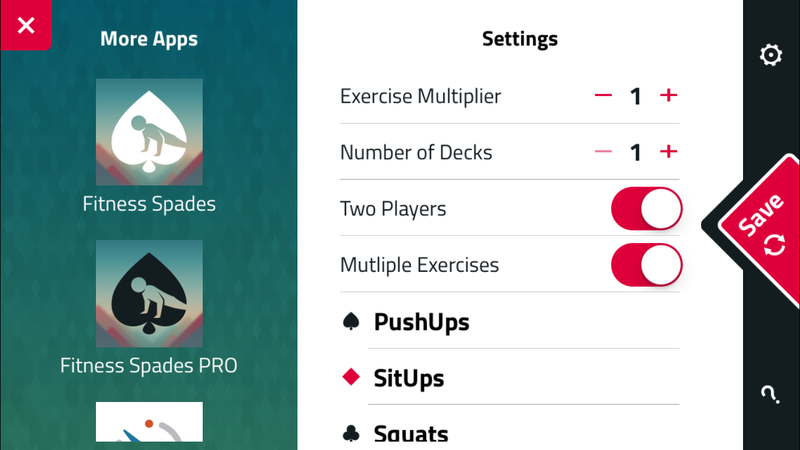 — Fat Burning Physical Fitness Training Game with Body Shred Workouts for FREE!